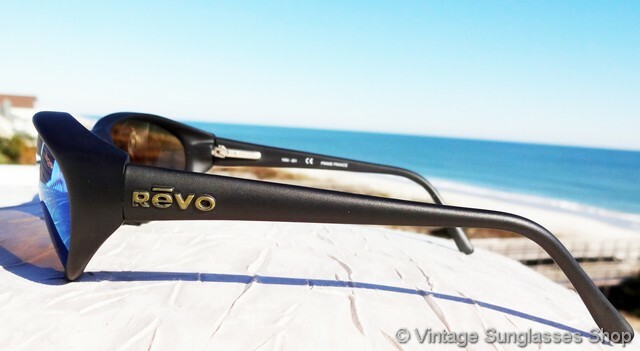 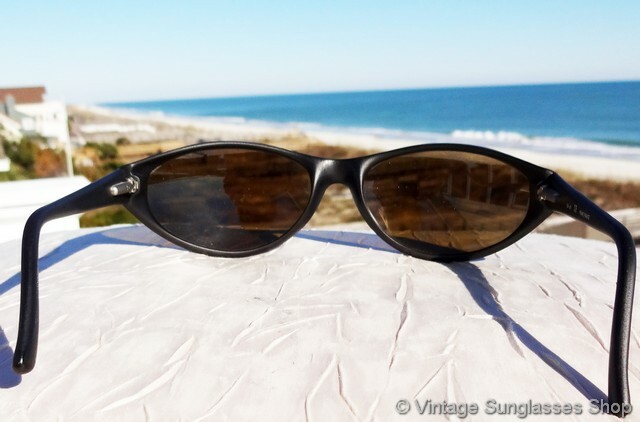 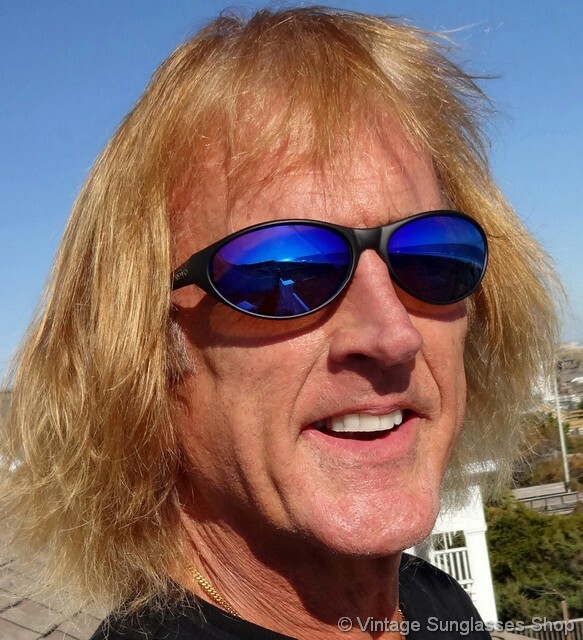 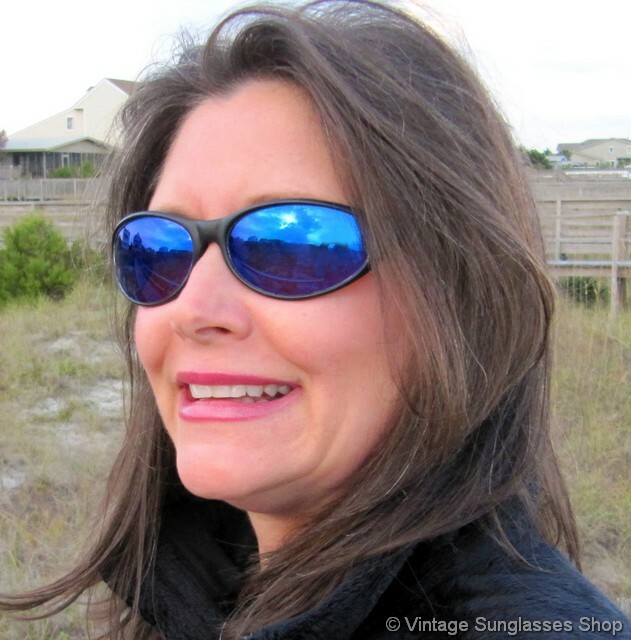 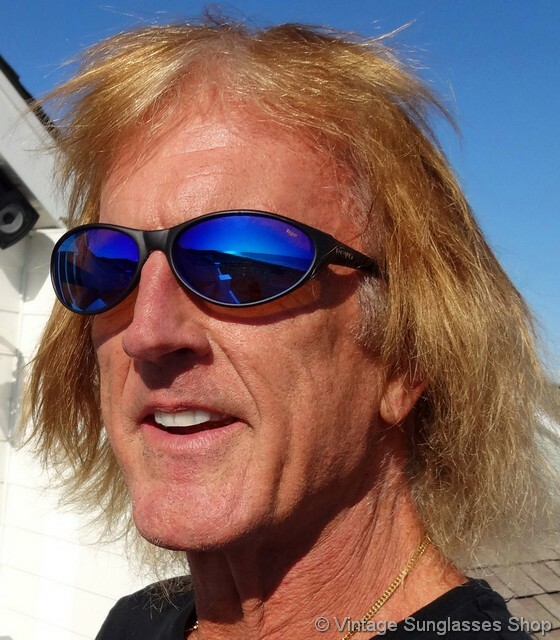 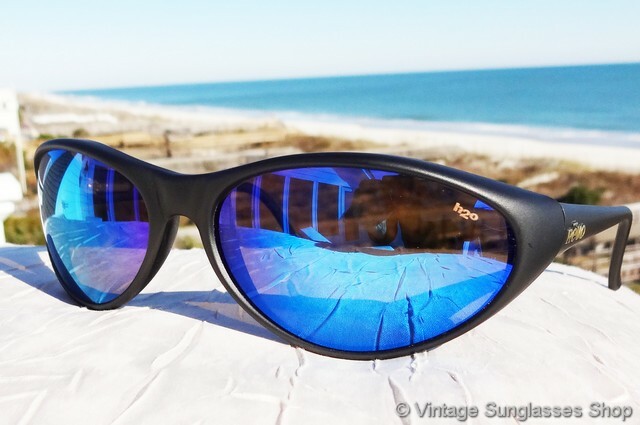 1 Vintage Revo 1004 001 Extreme Wrap sunglasses are quite difficult to find and feature a matte black subtle wrap design composite frame with highly reflective Revo blue mirror mineral glass lenses. 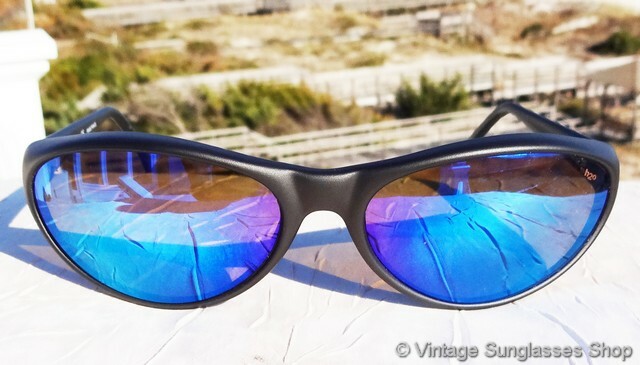 It's a sleek, high performance look, and the blue mirror lenses and matte black frame go perfectly together. 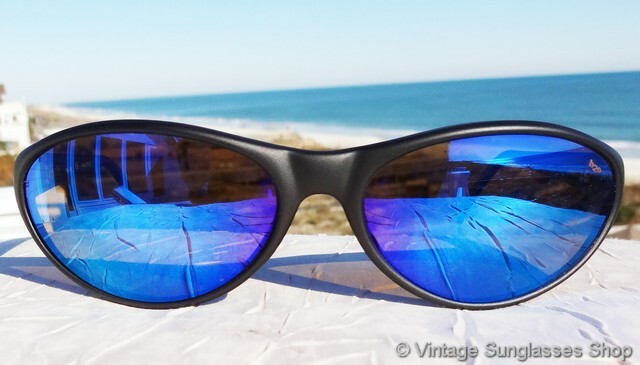 The frame is "cupped", particularly on the top and sides, to contour more closely to your face and help keep out unwanted glare on a wider radius. 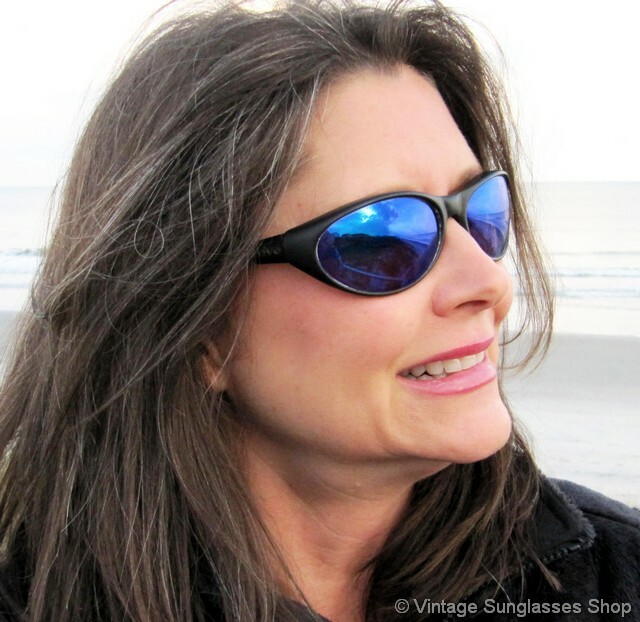 The unisex Revo 1004 sunglasses frame measures approximately 5.5" temple to temple, and the Revo blue mirror lenses measure approximately 2.25" x 1.375" at the widest points and are vintage Revo's arguably most popular lens color. 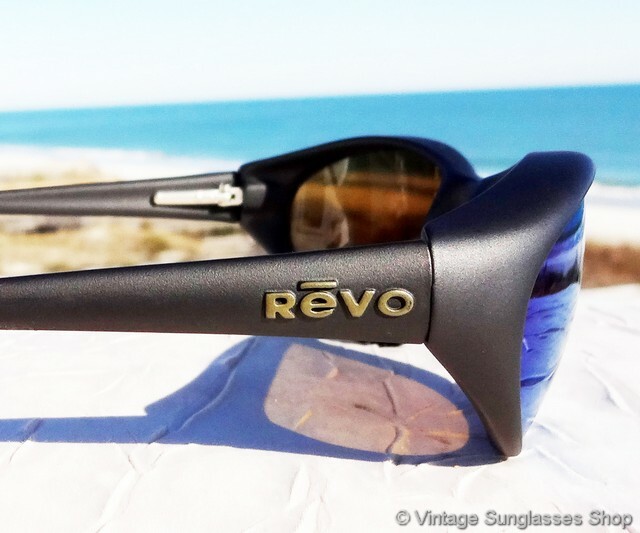 You'll find the Revo logo in rasied metal relief on the exterior of both ear stems, and the inside of one ear stem is marked 1004 - 001 CE Frame France. 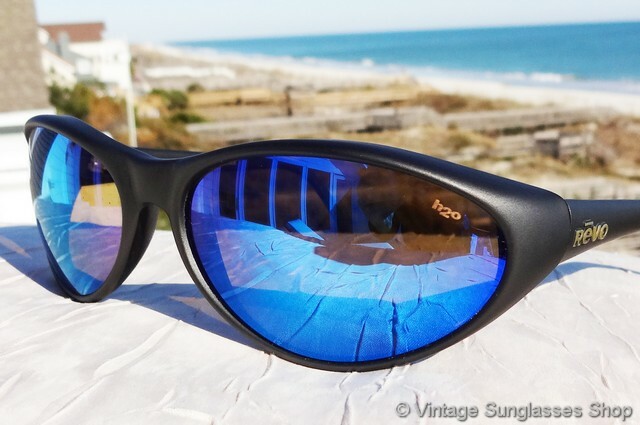 2 Vintage Revo 1004 001 Extreme Wrap blue mirror H20 sunglasses are identical in size and appearance with #1 and those pictured but these feature Revo H20 polarized lenses, with left lens laser etched H20 to indicate Revo's advanced polarization. 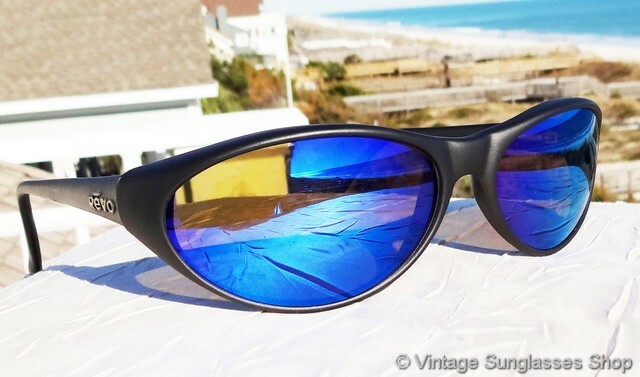 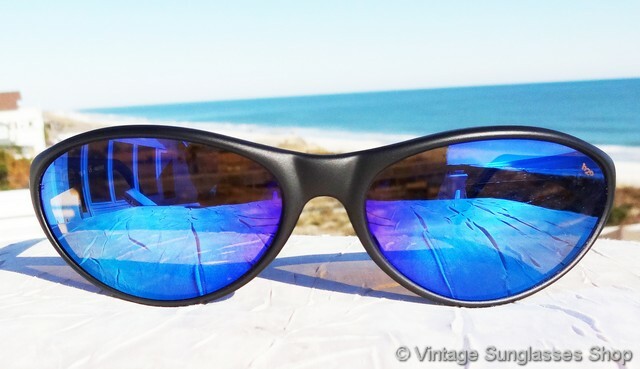 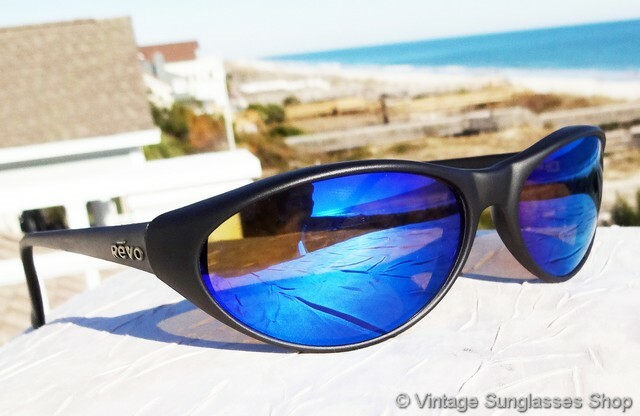 2A Step up another level beyond our already unequaled vintage condition standards with new old stock Revo 1004 001 Extreme Wrap blue mirror H20 sunglasses in mint, unworn condition.